I never expected to enjoy the publication of my debut picture book, The Change Your Name Store, as much as I have. I kind of expected it to be like hosting a dinner party. You spend relentless hours preparing and then it’s over before you manage to take the battery out of the blaring smoke detector. 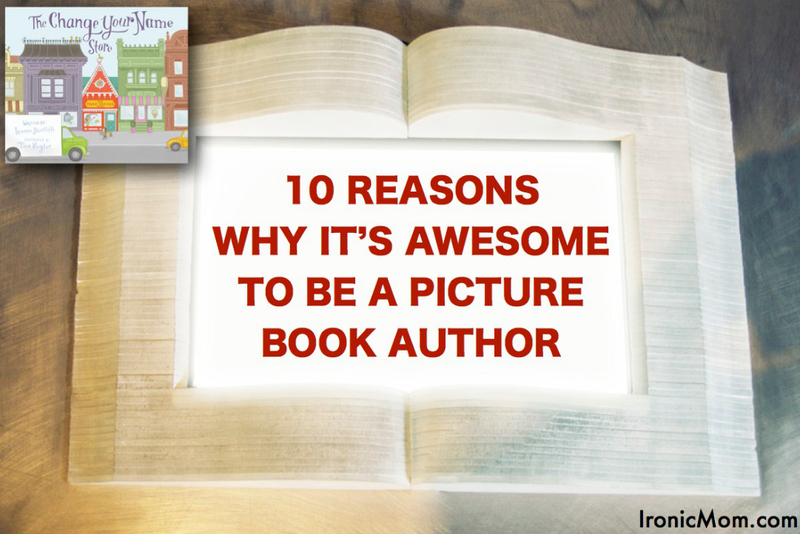 Unlike most of my meals, picture books seem to take on a life of their own once they’re in the hands of the readers. 1. You have an excuse not to grow up. 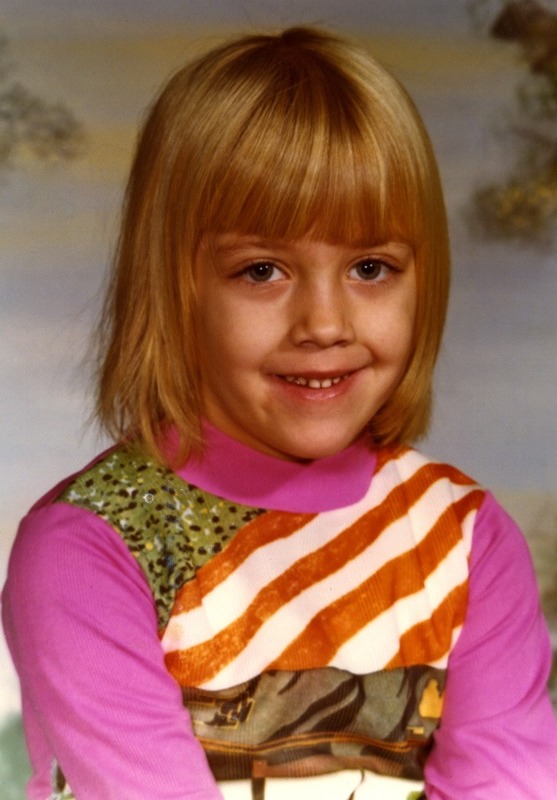 One of the reasons I used my kindergarten school photo as my author photo is to remind myself and my readers that I’m basically a little kid stuck in the body of an adult. I recommend this approach to life. 2. You get to collaborate. I was scared to hand over my manuscript to my editor who then chose the illustrator. Ha. I could not have been more wrong. The vision (and talent!) of illustrator Tina Kügler went beyond what I could have imagined. 3. Your family can help you brainstorm. This makes dinner table conversation extra interesting, especially when your husband adds his wildly inappropriate ideas. 4. You are able to (and obliged to) sweat over a single line of writing for days. 6. Random hugs. 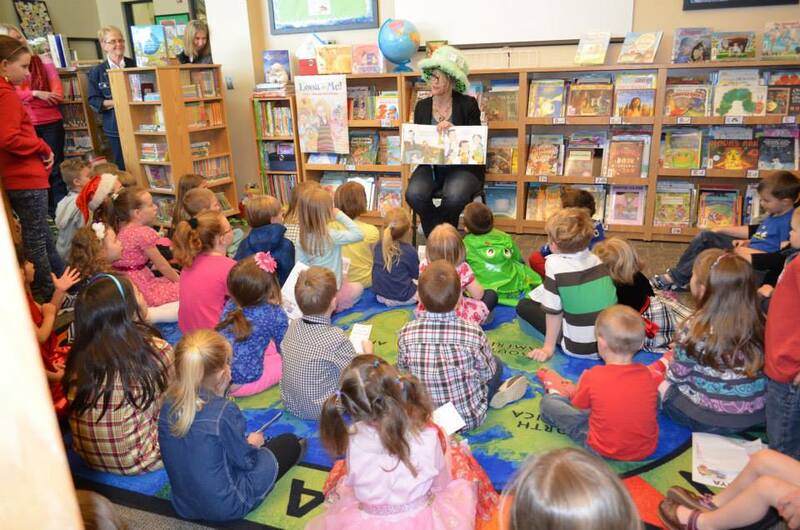 See school visits. And walking down the hall. Yesterday, I took my children to a local theme park. Several little students greeted me as I crawled about a bumper boat. I’m sure they didn’t have the best view of me, but they didn’t seem to mind. 7. You have an excuse to rhyme. It’s hard to rhyme and stay grumpy. 9. You get to go to awesome conferences, like SCBWI in LA, in a few weeks. 10. You become a part of special moments, like this grandfather reading The Change Your Name Store to his grandson. Any other items to add to this list? Or to another list on “Why It’s Awesome to Be a _______”? Your story is inspiring, and your sense of humor and irony too! Congrats on your book, good luck with it! I had to laugh at # 5. As an elementary teacher, it’s always funny to run into a student out in public. They are always shocked that I actually leave school. I think they assume I live there full-time. Actually, that’s not that funny because sometimes I come close to living there full-time. Anyway, congratulations on the picture book! You are on a roll, pal!